Very beautiful 2-room apartment comprising a living room, 1 bedroom, a modern and open fully fitted kitchen, a bathroom and a toilet. 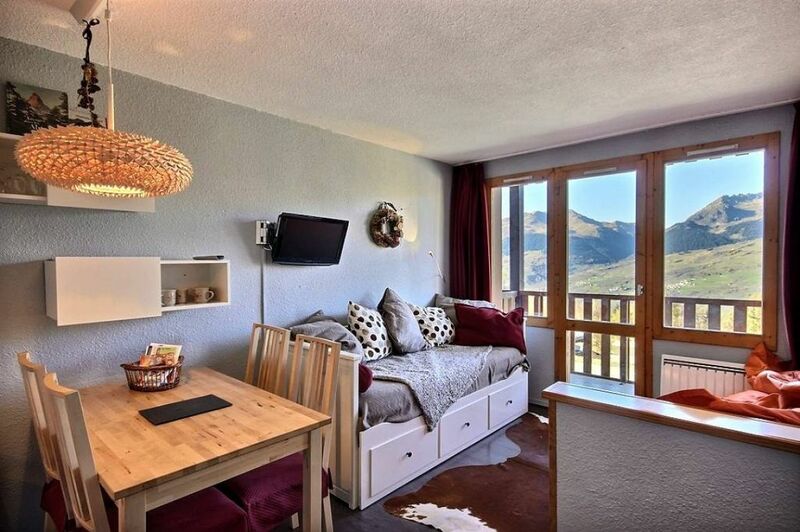 This property is suitable for up 4 persons, ideally located, close to the slopes/ centre. Great views North West facing, balcony. The village has a pedestrianised centre offering a good choice of shops and restaurants, a couple of bars and an ice skating rink. A shuttle bus links Les Coches to Montchavin which has a cinema and a superb new indoor/outdoor swimming pool/leisure complex.